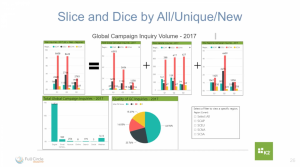 Is your organization finding its way through the SFDC reporting underworld in order to establish, measure and track how well your marketing and sales organization is really performing? 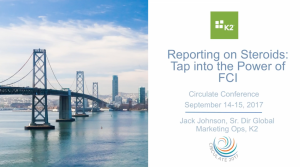 Learn how K2 has moved away from the maze of SFDC reporting silos to using FCI methodologies and how you can easily adapt this same strategy in your own organization. Presentation by Jack Johnson, Sr. Director Global Marketing Operations, K2 at Circulate 2017.